After returning from a 30-year trade mission, the crew of the Ea wake from cryonic suspension to find that their home world, Bh'Haret, is dead. "Screamer" satellites have been strung around their planet, warning of a plague. A scan of the surface of Bh'Haret reveals no trace of human life - only crumbling cities. Their fuel and other supplies nearly exhausted, the crew has little choice but to make planet fall on Bh'Haret, infected with a virulent and deadly disease. In a desperate scramble to save themselves, the crew members of the Ea must each, in his or her own way, come to terms with the death of their world - and try to rekindle a belief in the possibility of life. 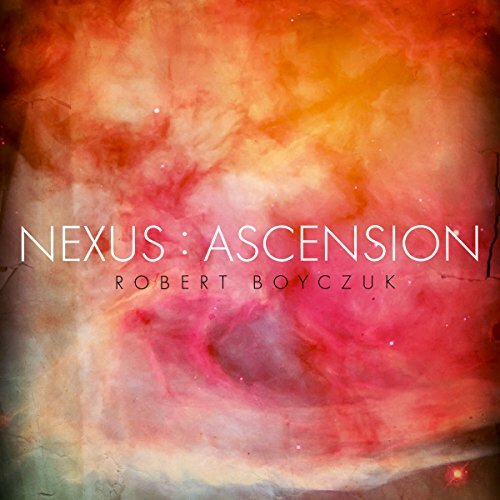 ©2010 Robert Boyczuk (P)2011 Audible, Inc. This book is great on so many levels. Good solid Science Fiction, great characters, complicated but interesting relationships, solid plot twists and an excellent narrator. Although the books stands up well as an entertaining single read, I am hoping a sequel is in the works. I'll keep this simple, and give away no storyline points. This is a very good read. Believable, well-planned, moved along briskly, and keeps your attention. It takes armageddon to another level - Revenge! Enjoy this listen for what it is - A sweeping story with no moral lessons. It will keep you listening, and wanting more. Robert, I'm looking forward to what's next - You've set your bar high. A good story well written and narrated. It is listed as a series but it is the only one in the series, I am hoping for more of the same. It is often a little difficult to get ones mind around the time and distance factors, Yes, but the plot was good and surprising, Yes. There are no zombies. These days zombie fiction seems pretty prevalent, and I was reticent to start this novel when "plague" and "no trace of human life" were used in the publisher's summary. I was glad to see the author wasn't trying to capitalize on this quickly fading fad. The narrator Nick Sullivan did an excellent job of bringing the characters to life and I have nothing but praise for his performance. I wish I could say the same of the plot he had to work with. I'll warn you now, Robert Boyczuk creates some great characters and then proceeds to make you hate them. One dimensional is an understatement. The second half of the book is purely dedicated to cleaning up the mess he created in the first half. Setting that aside the universe the characters live in is epic, I mean huge, and Boyczuk makes it truly interesting. The novel ends a little abruptly with the fate of some of the characters completely unknown, leaving the potential for more books. Although I think it may be best he just leaves these characters behind and starts anew else where in their universe. The story idea was good and there are some good characters but the actions of some of the characters are contrived. Whenever the author wants a twist in the story, two of the characters simply "give up". All of a sudden, after taking multiple risks and discovering deceptions, they just give up and go along with one of the antagonists. It just make sense and is very frustrating.